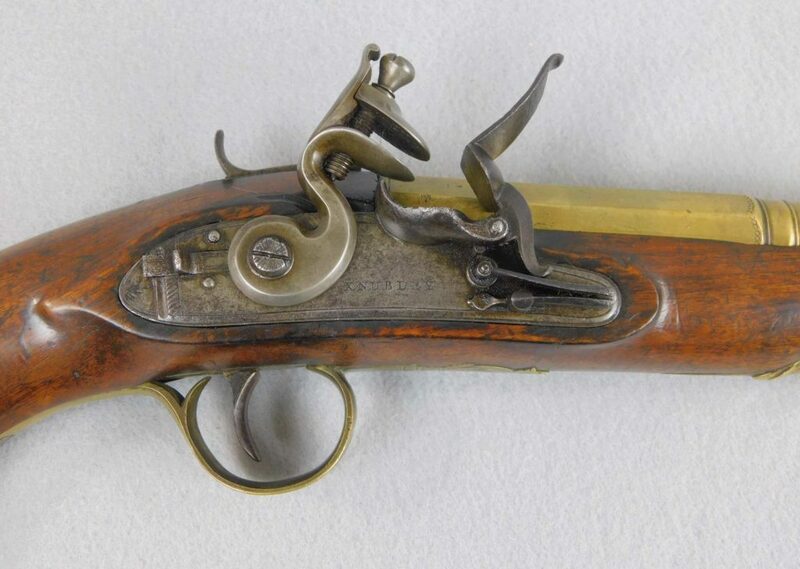 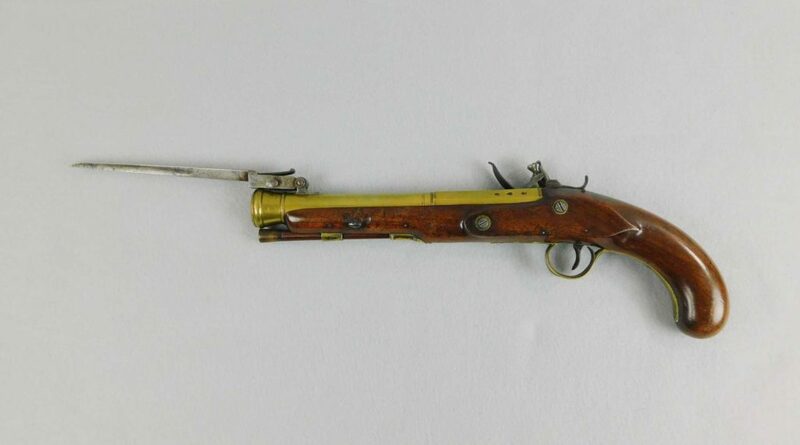 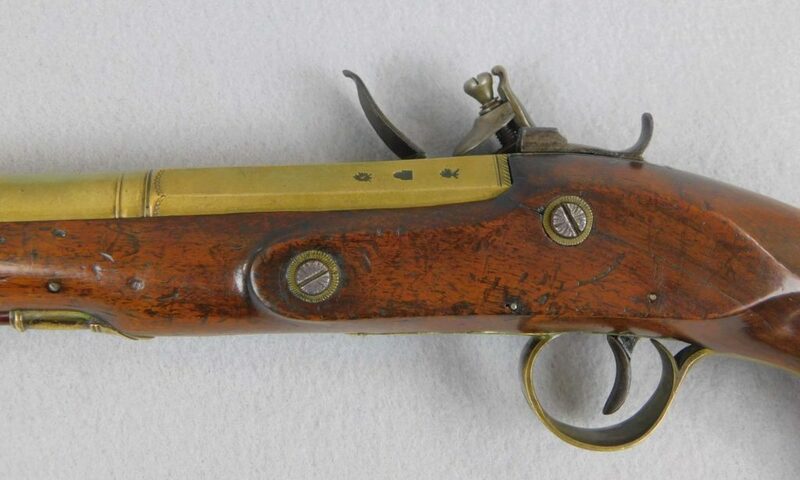 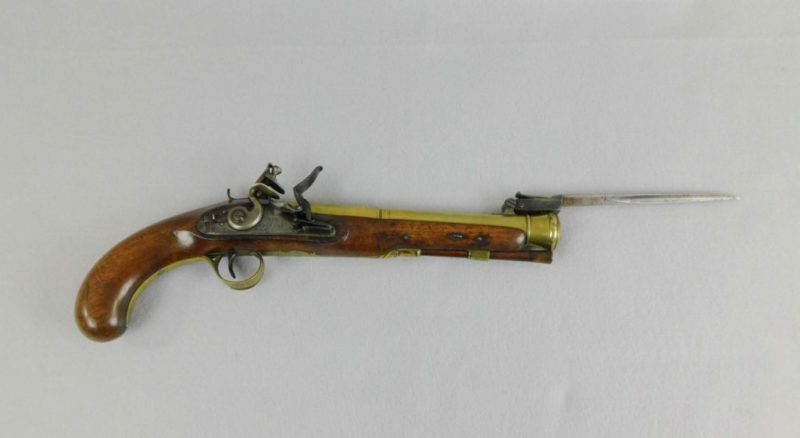 Knubley of London made this cool Knubley Flintlock in 1778-1790. 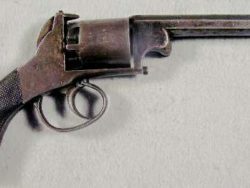 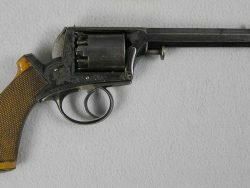 The pistol is 14 ½” long and 21” with the bayonet extended. 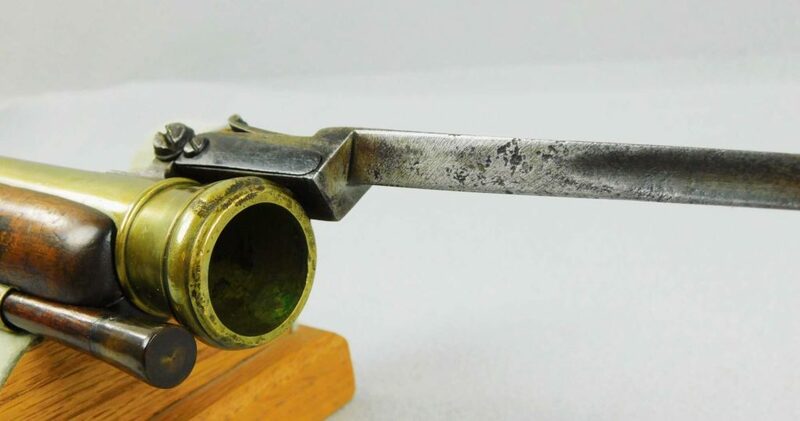 There is a thumb release on the top of the tang. 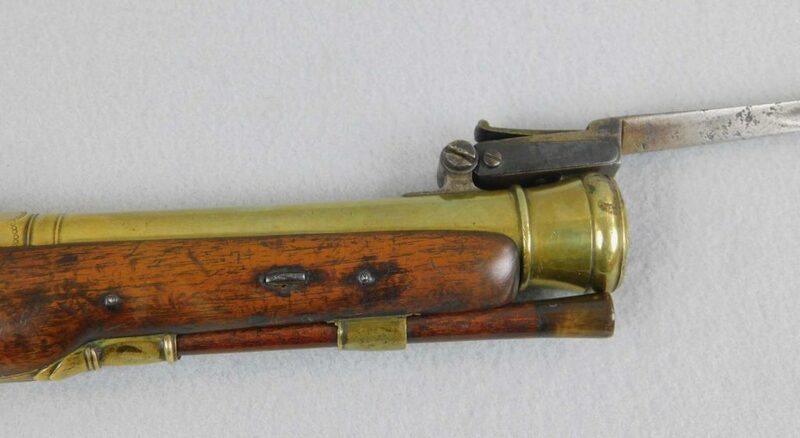 The bore measures 13/16” inside diameter and the barrel is 8 7/8” long. 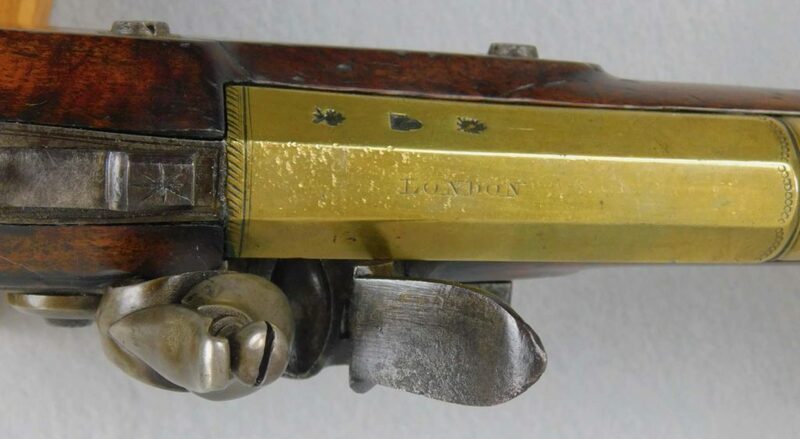 The brass trigger guard and final are engraved as well as the screw heads. 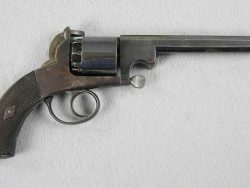 The mechanical function is very good and the manual lock safety works very good. I see only one small tight crack on each side of the lock screw. 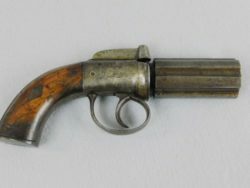 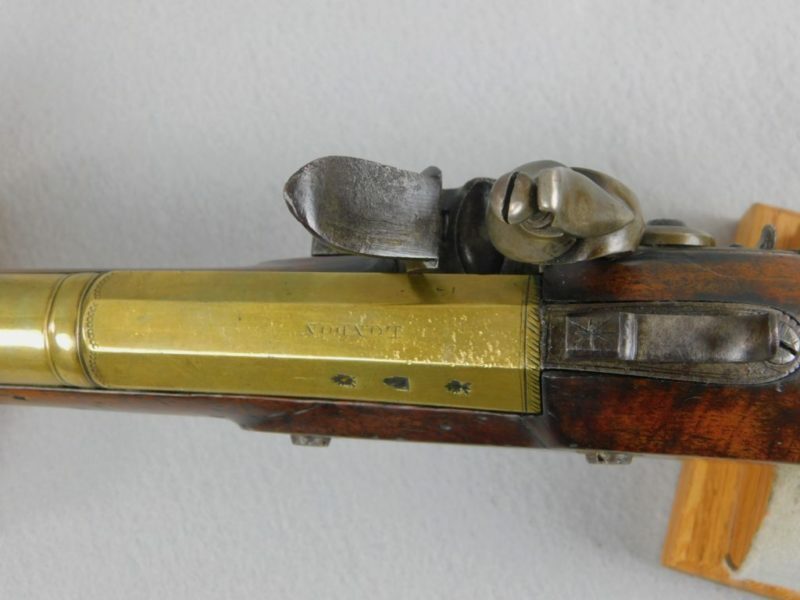 This is a RARE Blunderbuss pistol with a spring-loaded bayonet.